Bioactivity guided isolation of Glycyrrhiza glabra (Leguminosae / Fabaceae) roots resulted in the characterization of 18β-glycyrrhetinic acid as a major anti-tubercular agent. Further, GA-1 was semi-synthetically converted into its nine derivatives, which were in-vitro evaluated for their antitubercular potential against Mycobacterium tuberculosis H37Rv using BACTEC-460 radiometric susceptibility assay. All the derivatives were active, but the benzylamide (GA-8, MIC 12.5μg/ml) and ethyl oxylate (GA-3, MIC 25.0 μg/ml) derivatives were significantly active against the pathogen. This was further supported by the molecular docking studies, which showed adequate docking (LibDock) scores for GA-3 (120.3) and GA-8 (112.6) with respect to the standard anti-tubercular drug, rifampicin (92.94) on the DNA-directed RNA polymerase subunit beta (rpoB) target site. 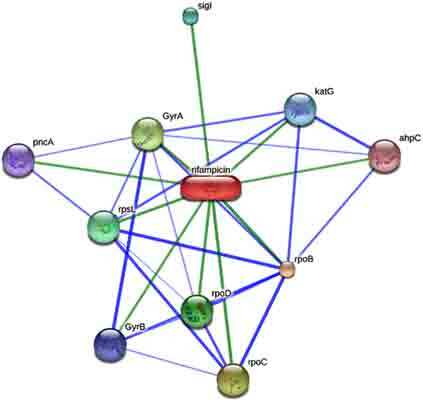 Finally, the in silico pharmacokinetic and drug-likeness studies showed that GA-3 and GA- 8 possesses drug-like properties. This is the first ever report on the anti-tubercular potential of GA and its derivatives. These results may be of great help in anti-tubercular drug development from a very common, inexpensive, and non toxic natural product. Drug likeness, GA-1 derivatives, Glycyrrhiza glabra, Molecular docking, Mycobacterium tuberculosis.